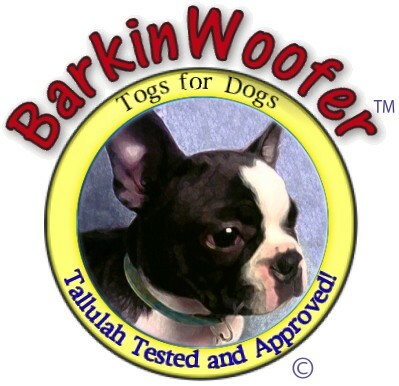 BarkinWoofer: The Online Store for Dogs and the People Who Love Them sells quality dog collars and leads, harnesses, natural treats, the best dog toys, pet strollers, pet beds, and gifts for dog lovers (especially Boston Terriers and Pugs). For Jewish dogs and their humans, we have a few specialty items. BarkinWoofer is a name we created for our online stores. After trying repeatedly to come up with a name and finding them all taken by someone else's business, we decided to think outside the box and make up a name, possibly by combining two words or even two meaningless syllables. So we took "bark" and "woof", added a few more letters and like magic, BarkinWoofer was born. By the way, BarkinWoofer is one word... we just capitalize the "W" to make the two base words stand out and to make it easier to read. Tallulah, our Boston Terrier, is also our product tester (or taster depending on the product) and uses many of the products we sell. As soon as we can get her to be still long enough for a photo she may also be our model. A couple of photos of Tallulah: one is the "Tallulah Tested and Approved" image we include on some of the items she likes and/or uses (a "Tasted and Approved" version is used for treats and other edibles. 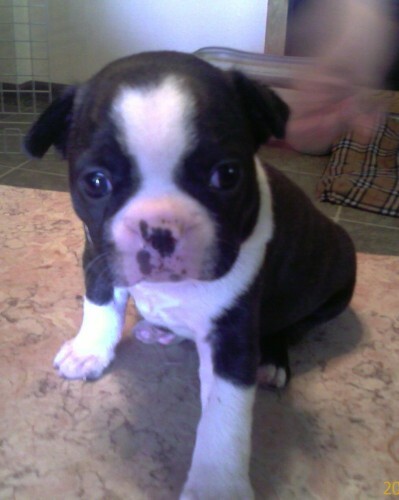 The other photo is Tallulah, taken at the breeder when she was 4 weeks old, on the day we met her. We took her home about 5 weeks later. One more thing: we won't sell any dog product that we would not be willing to use with Tallulah. If the product is not the quality we expect for our dog it is not good enough for yours. We sell quality products for dogs and dog lovers. We also have a few nice things for cats and cat lovers in our Kitty Korner. Everything we sell is brand new unless noted otherwise in the listing. We stock many of the products we sell but we also sell items that ship direct to you from the designer. Most of the items we stock can be shipped internationally to most of Europe, Japan, Australia, New Zealand, Canada, and other countries. International shipments for product shipping from the designer varies by designer. many will only ship within the USA. If you like a product that does not show shipping outside the USA, please ask us as we may be able to have the designer ship to BarkinWoofer and we can then ship to you.